A recent report on the State of the Lethal Drone, based on an interview with US Air Force Chief Scientist Dr. Greg Zacharias, reveals that drones will be equipped with lasers in the near future, superseding the currently favored implements of remote-control killing, Hellfire missiles. Only two missiles are currently harnessed to each Predator drone for use as “opportunities” arise to “light up” targets. Missiles, unlike lasers, are destroyed through deployment. Lethality is the be-all and end-all of military technology, so lasers are being lauded for their (surprise) superior lethality. Lasers will make it possible to incinerate human beings without destroying nearby buildings. They will be more precise as well, able to home in on the desired target, which fits right in with the US government’s often touted “smart war” capabilities. The report naturally makes the latest lethal development seem as though it’s an improvement. If you can incinerate a target by zapping him with a laser rather than blowing up him and everyone and everything around him, then should you not do that? The public relations pitch for deadly lasers makes them sound not unlike the bug zappers used to kill nagging flies and mosquitoes on porches by essentially frying them to death. Lasers will be a “better” way to kill “enemies”, under the assumption that summary execution without trial of suspects fingered by hearsay and circumstantial evidence is obviously a good thing. The US and Israeli governments have been killing people with drones for years, and now lots of other countries are preparing to do so as well. Britain, Pakistan and Nigeria have joined the United States in executing citizens without trial using missile-equipped drones, and the technology is being made available to other leaders all over the world, from Cameroon to Japan to Italy to Spain to India, and just about everywhere in between. Lasers are said to be more precise, but this impugns the repeated insistence by CIA Director John Brennan and others in the US administration that Hellfire missiles already are and always have been exceptionally precise, resulting in zero, or nearly no civilian casualties. So how are lasers supposed to be even more precise, if Hellfire missiles already kill only evil terrorists? Perhaps because lasers will make it impossible to determine who the people fried to death actually were. There will be no more body parts to be gathered up by grieving family members. In the minds of their killers and those who paid for the deaths, the suspects’ guilt will be permanently etched in the annals of history as their bodies are rendered piles of charcoal gray ashes. An added benefit of lasers, explains Zacharias, is that a single drone will now be able to zap on the order of 5,000 people, rather than only a handful—while using only a gallon of fuel! A couple of expendable Hellfire missiles can only do so much terrorist annihilation. Slick and sleek laser technology will make killing easier, swifter, more efficient and, apparently, more frequent. It is worth underscoring that, in the very same report, lasers are said to be designed to eliminate “high-value” targets, but also to perpetrate mass homicide (5,000 deadly zaps on a gallon of fuel?). Exactly how many “high-value” targets can there be out there? These “improvements” are, again, in keeping with the reigning paradigm of homicide as the preferred–or sole–means of resolving conflict. The fact that lethal means have failed over and over again, throughout the Middle East, and most obviously since the 2001 invasion of Afghanistan, is simply ignored by the laser enthusiasts. Or, more likely, taken as evidence that the US military is still not quite lethal enough. Back to the DARPA drawing board and its infinitely deep trough of taxpayer funds. What is the end of this story supposed to be? As far as I can see, we are moving toward The Final Solution: Annihilate all of the brown-skinned people who wear funny garb, and then there will be no further conflict in the Middle East. The remote-control killing of persons suspected of associating with other persons suspected of associating with other persons suspected of associating with other persons suspected of associating with extremist groups is no more and no less than a recipe for genocide. The latest beneficiary of DARPA’s ingeniousness and US taxpayer largesse appears to be the government of Italy, which has been clamoring for lethal drones since 2012, and was recently reported to be next in line to receive a cache of some of the latest and greatest implements of homicide developed by the United States. These munitions were produced for use in what the killers continue to refer to as “war”, despite the fact that drone operators run no risk of physical harm when they dispatch suspects in lands far away. Yes, the US government has acceded to the Italian government’s request and will be furnishing them with 156 Hellfire missiles, which can be attached to their two Reaper drones (UAVs or unmanned aerial vehicles) to realize the potential implied by the very name ‘Reaper’. Yes, now Italy, too, along with the United States and Britain, will be among the Western states “blessed” with lethal drones and prepared for … what exactly? One has to ask: why does Italy need to have 156 Hellfire missiles ready to deploy by Reaper drones? 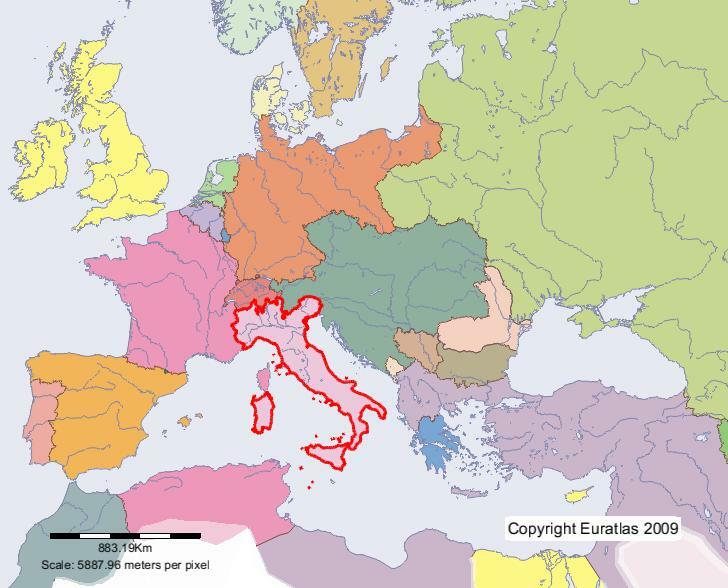 Is Italy at war with any other nation? Or will the Italian government be using these slick implements of homicide to follow the examples of US President Obama and British Prime Minister David Cameron, who eliminated countrymen deemed by their analysts behind closed doors “evil terrorists” and “high-value targets”? No need to capture, contain, indict and try suspects for treasonous crimes in the Drone Age. Due process and the separation of government powers are so twentieth century! By the fall of 2011, President Obama had authorized the execution by lethal drone of US citizen Anwar al-Awlaki (among others) located in Yemen. By August 2015, Prime Minister Cameron had authorized the execution of British citizens Reyaad Khan and Ruhul Amin, located in Syria, despite the fact that capital punishment is prohibited by British law and the EU Charter. Not that Cameron had much to worry about, with the US government standing by his side (remember the bond of brothers Tony Blair and George W. Bush?) and praising the fact that Cameron, too, had now effaced the line formerly distinguishing blacks ops from “just war”. These days it’s simple to transform an illegal act of assassination—undertaken by deniable operators before the Drone Age—into what politicians the world over are willing to call an act of war. It suffices to deploy a missile rather than a strangulation wire, an exploding cigar, a poisoned meal, or a good old-fashioned pistol! One must own that this has been quite a feat of political léger-de-main. Former Secretary of State Madeleine Albright once asked Colin Powell (a top military official at that time): “What’s the point of having this superb military that you’re always talking about if we can’t use it?” It’s an incontestable maxim of practical rationality that one not squander large sums of money on useless stuff. In the case of munitions, there’s no point in having them at all unless one is ready and willing to use them, particularly when they have no power to deter anyone from doing anything—as in the case of nuclear warheads, at least according to advocates of their development throughout the Cold War. So what will Italy do with its Hellfire-missile-equipped Reapers? No doubt they will do their best to find some Italians holed up somewhere in a tribal region of some hotbed of conflict—Afghanistan, Iraq, Pakistan, Yemen, Libya, Mali, the Philippines, Somalia, Syria, Egypt, … the list continues to lengthen—and seize this historical opportunity to do what in centuries past was deemed illegal: to execute citizens without trial and without even charging them with crimes. In the Drone Age, political leaders are capitalizing on the latest military-industrial-congressional-media-academic-pharmaceutical-logistics complex boom: the creation of lethal drones which must be used in order to rationalize their purchase. 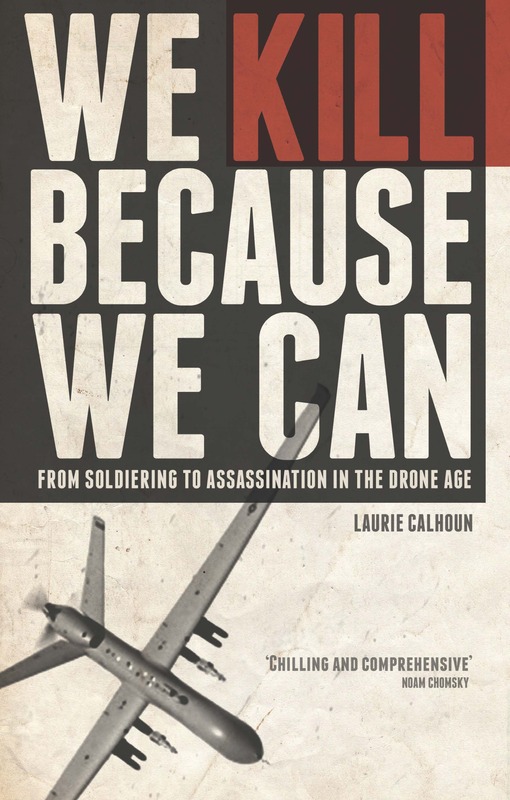 Political leaders with access to lethal drones kill because they can, and also because this form of homicide has been christened “smart war” by the first Drone Nation, the United States of America. The members of the once small club of nations whose leaders succumb to the temptation to dispatch annoying dissidents with no judicial process whatsoever can be expected to continue on until nearly everyone in the Western world is complicit. Ximena Ortiz has incisively termed this strange twenty-first-century phenomenon “the Third Worldization of America”, and it is has already infected Britain. Italy is next in line. The more nations complicit, the more difficult it will become—reaching eventually the point of being impossible—to bring any of the lot before the International Criminal Court in the Hague for violating international law. Among the protocols essentially abandoned by the self-styled drone warriors are the UN Charter, the Geneva Conventions, and the Universal Declaration of Human Rights, according to which persons suspected of wrongdoing must be provided with the opportunity to defend themselves against the claims made by persons in positions of power that they deserve to die. It’s a slippery slope, and the Italian government, which admirably took to task the CIA for their illegal rendering and torture of Osama Mustafa Hussan, finding the perpetrators guilty as charged back in 2009, appears poised to let bygones be bygones in the case of summary execution without trial. Surely someone in Italy recognizes that the remote-control killing of suspects is infinitely worse than prolonged detention without charges and “enhanced interrogation”. The persons detained at Guantánamo Bay prison in Cuba were horribly wronged, but they were not whacked with impunity by “drone warriors” under the preposterous presumption that all suspects are guilty until proven innocent, not the other way around. 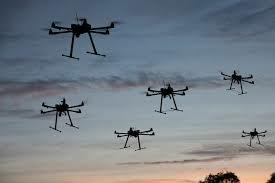 Drone Swarms Now Ready to Deploy: How will they be used by the US Military? Swarms have been developed for the US Navy and are touted as important for providing 360 degree situational awareness in the theater of combat. Of course, today’s “no boots battlefields” have no US soldiers on them at all. In fact, one of the main reasons for the development of robotic and semi-robotic means of warfare is to spare human soldiers the risk of death. The most likely immediate application of these new swarms will therefore be to have them sweep in and provide a better look at the buildings and groups about to be taken out by missiles launched from larger drones. Perhaps they will offer badly needed assistance in avoiding the slaughter of women, children, and hostages. Unfortunately, greater “situational awareness” will do nothing to circumvent the problem of distinguishing innocent suspects from empirically indistinguishable evil terrorists. The current approach, simply defining all military-age males as fair game for slaughter, ignores the possibility of nonthreatening men such as journalists, doctors, farmers, storekeepers, teachers, and many others, in so-called hostile areas. The assumption appears to be that all of those men are leading dual lives. Deep down inside, they must all terrorists. Why else would they be located in hostile territories? The journalists who courageously penetrate these areas to investigate the depredation caused by drone strikes are all propagandists and “Al Qaeda media fronts”. The farmers and shopkeepers are “associates” who feed the terrorists. The doctors are “associates” who treat the terrorists. The teachers are “associates” who recruit children to take up the jihad cause, often to avenge the deaths of their fathers “splashed” by Hellfire missiles. Previous generations of drones were not initially weaponized, but later they came to be. Given the lethal centrism of the US government, the next logical step for swarms will be to weaponize them for combat deployment. Now that the killing of human beings is sought as an end in itself, and a “take no prisoners” stance has been wholeheartedly embraced by political elites, it’s hard to believe that swarms will not be armed and deployed to kill. The only real question is: How? 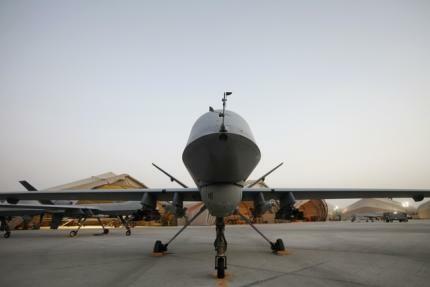 The size of Zephyr drones is quite small relative to the Predator, Reaper and Global Hawk drones, to which Hellfire missiles are conveniently affixed. Will tiny micro-missiles be developed? Or will swarms be weaponized to disperse chemicals or perhaps cluster bombs? The sky is the limit, given the development of so many creative means of homicide by the ever-innovative weapons industry. Configurationally, drone swarms bear some similarity to cluster bombs, which fire deadly chain-reaction munitions over large areas, killing or maiming numerous people with a single launch. Perhaps the swarms will be weaponized with chemical agents of some sort. Whatever the ammunition to be fired from swarms of drones, it seems safe to say that somewhere in the dark entrails of DARP someone with a hefty grant is working on it right now. About the lethal future of drone swarms, there can be little doubt.